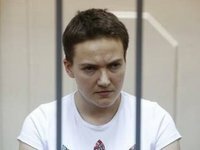 Russia's investigative authorities have been ordered to hold a trial of Ukrainian pilot MP Nadia Savchenko as soon as possible, to give a free hand to the Russian authorities to seek a solution to Savchenko's issue, her defense lawyer Ilya Novikov has said. "It is evident that the investigators have received a very clear order to start the trial by June. I have a very clear sense that the constant political pressure on the Russian authorities has apparently reached some critical point, and it was decided to hold the trial to save the face and to demonstrate that all this was not done for nothing, and then to look for a solution of 'the Savchenko issue' in such low-key ways as through amnesty, through a presidential decree of pardon or any other way that they want. We are alright with that as our task is to make sure that she gets home," he said on the Freedom of Speech talk show on the ICTV Channel late on Friday via a video linkup from Moscow. Novikov said that over the past month investigators had sped up their work. "Over the past month, they completed all their activities, which were planned in Savchenko's case, and yesterday we were shown a resolution that the proceedings against her have been finally singled out as a separate case," he said. The lawyer also pointed out that Russian politicians who are constantly confronted with Savchenko's issue had begun "almost in unison answering that it is up to court to decide and after the trial we shall see if she may be subject to amnesty." Novikov also says that two weeks ago Savchenko's charges were slightly changed. He recalled that the pilot was first charged with complicity in the murder of Russian journalists including under clause B of Part 2 of Article 105 of the Criminal Code of Russia, which is the murder committed on the grounds and with the intention to prevent a victim from performing their professional duties. "There, she allegedly fired on a group of civilians, but the investigation no longer believes that she singled out the journalists in this group of people. Which means that the whole story that the journalists were killed in order to prevent them from performing their duties is gone," Savchenko's defense lawyer said. In his words, the current theory of the investigators is that the Ukrainian artillery was firing using the coordinates given by Savchenko, and since it has already been established that the pilot was no closer than 2.5 kilometers from the site, where journalists were staying, investigators allege that she climbed a telephone communications tower, where using binoculars she spotted a group of civilians and using "unidentified engineering means" established the coordinates of the site, and than allegedly transmitted these coordinates by radio to the Aidar battalion commander Serhiy Melnychuk, who then passed them to Ukrainian artillery men, who opened fire using these coordinates. "They have changed their point of view, without advertising it. The reports of the Investigative Committee of Russia and press releases had virtually nothing on this matter. They were pressed by the facts to change their point of view," Novikov said.